« A need to scream? As we move forward into spring, more and more birds are returning to my local area after spending the winter in warmer spots. 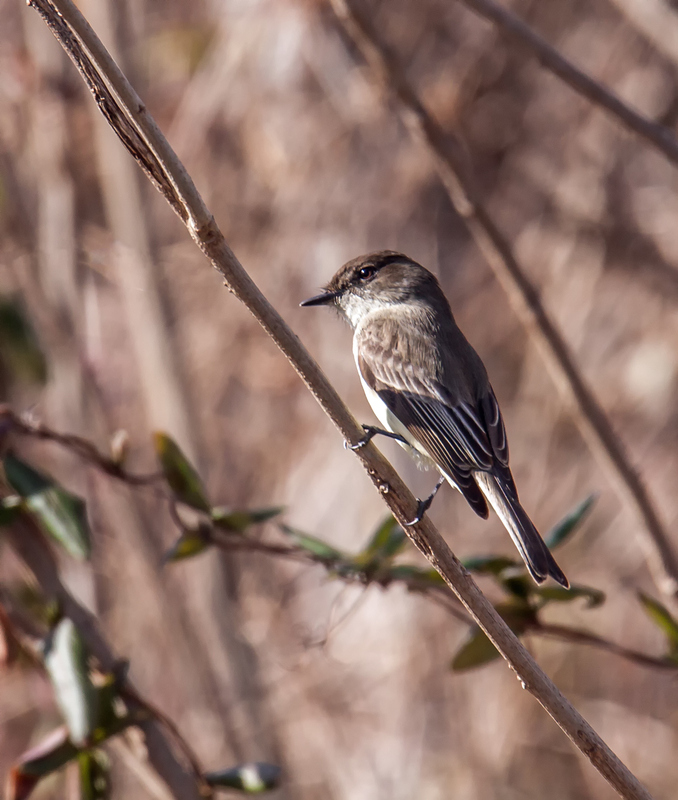 This past week I was happy to welcome the return of some Eastern Phoebes (Sayornis phoebe) to Occoquan Bay National WIldlife Refuge. I didn’t realize they migrated. I don’t know why but assumed they were year round. I guess that means we may be losing ours soon. It looks like Northern Virginia, where I live, is on the line between places from which phoebes migrate and places where they are present all year round. I talked to an experienced birder today who told me that this species is considered “hardy” and a few members may overwinter with us.